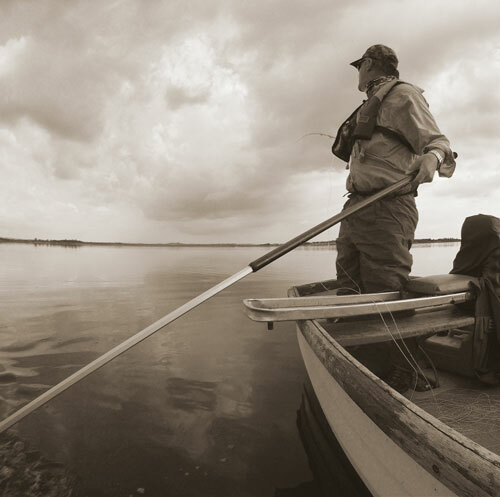 Boat fishing is one of the most pleasant ways to fish any large reservoir it offers the angler total freedom to cover water that no bank angler ever fishes and there is nothing more relaxing than just drifting down the lake with wind at your back just waiting for the fish to come to you. 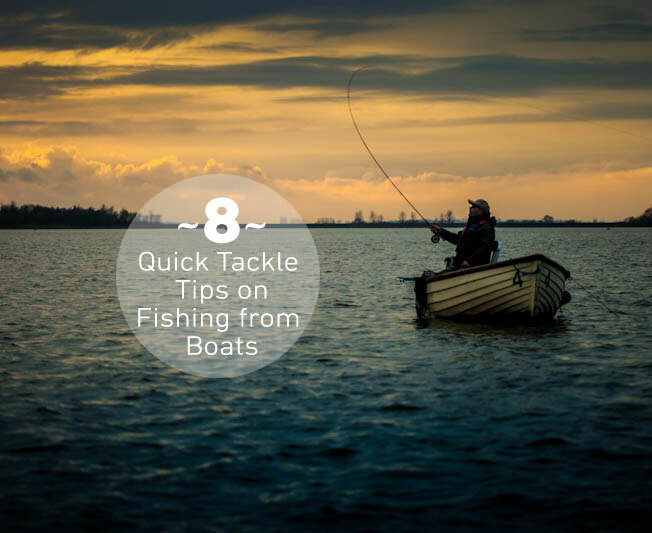 However some anglers find tackling a big lake from a boat very daunting due to the size of the water and the unfamiliarity of handling a boat and don’t know where to start, well here’s our 8 quick tips any boat angler should know. 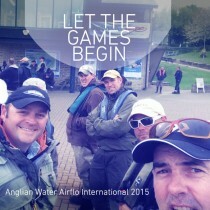 A 10ft rod for 6 or a 7wt line will be our first choice when jumping into a boat. But always carry a spare rod if possible as accidents can happen, probably when jumping into boats, the last thing you want to do is have to motor all the way back to the car to get your spare rod. Hywel has been known to take up to 36 different lines out for a boat session, but what do you really need for a day out afloat and not feel under gunned, well here is a list that will cover most situations. So if five lines will be enough why does Hywel carry so many? Good question… Hywel? 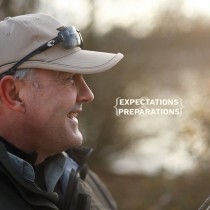 “Well I always carry non-stretch and stretch lines as some times one will out fish the other. I was once gillying for two anglers and one was fishing with a DI5 non-stretch and the other with a standard DI5 but the fish were playing with the boobies and taking them a few times before actually hanging on but the angler with the non-stretch line was only having one take and the fish would go away where as the stretch line had that give and the fish kept taking the fly until it was hooked. So that is 10 lines, I also carry 5 intermediate lines all with different sink rates as well as lines that sink belly first and lines that are density compensated so that the line sinks uniformly. As you can see soon you build up a big selection. This is one of the most important pieces of equipment for boat fishing as a day out afloat can be very uncomfortable without one. There are a few different ones on the market and one of the most comfortable ones is the TLD seat which attaches to the seat of the boat. The one downfall with this is that after a few hours you can become uncomfortable due to being cramped. The best option with the TLD seat is to attach it to a thwart board so that you are high up and have enough leg room to stretch out. The other type of seat is the thwart board type which extends from gunnels to gunnels and has a cushion seat and back rest. This type is not as comfortable as the TLD seat but for transportation it packs away easily into the boot of the car. This is the one I use as it offers more flexibility as some fisheries do not have thwart boards for you to attach you seat to. Quite an important thing about a boat net, that is not considered by most anglers, is that you are able to net the fish as far away from the boat as possible and this can be done sitting down. A 2.5 meter long net pole enables you to net fish easily even when you are using long leaders. A high proportion of fish are lost at the last minute when the fish sees the boat and makes one last dive so if you have a long handle you can net the fish even before it sees the boat and also doing it safely as you will not have to lean over the gunnels as you have to with a short handled one. Also use a soft mesh so that if the fishery allows catch and release then the net will not damage the fish in anyway. A 2.5 meter landing net pole essential for fly fishing from a boat. Waders or no waders that is the question! Early season I tend to wear waders as they keep you warm and dry with no gaps between the bottom of your jacket and the top of the waders for the water to find. However as the season progresses I will tend to use waterproof trousers and a jacket as the weather can be warmer and you do not need to wear them unless it rains and it is easier to put on the trousers in a boat rather than waders. Before you go fishing please cheque with the fishery as some still do not allow waders to be worn in boats so if you are unsure then take both just in case. If you are going to wear waders please make sure that your boots don’t have studs as this will damage the boat and they are a slipping hazard and we don’t want you in the lake! Probably the best all around lens colour is amber and will cover most situations however if it is really sunny then the lens will absorb too much light and it can strain your eyes. On these days you should maybe look at a grey colour lens. Carrying 3 lens colours can be expensive but you only have one pair and all that. Hywel carries Costa del mar, Amber, Black and Sunrise lenses. The sunrise lenses are fantastic for early mornings, late evenings and those dull British summer days. The wrap around style give you the most protection from flies as they pass you in the air and they shield your eyes from periphery light too. I find this to be one of the most useful pieces of kit and the reason for this is that most fisheries now insist that you are to wear buoyancy aids and rightly so. The problem is if you have your tools on zingers on your waistcoat then you might find it difficult to get the tools due to the buoyancy air being on top of the waistcoat, but with the lanyard it is easy as all the tools sit around your neck within easy access. Some anglers use cool boxes which are great for keeping your catch cool on the warm summer days. You guys that use the cloth style bass bags don’t hang them over the side of the boat to keep you catch cool. So many anglers loose the whole bag when they forget about it and motor off to fish another area. Two years ago while running a competition at Pitsford reservoir two anglers came in a few hours before the end having caught 8 fish but they had left the bass bag hung onto the oar lock in the water well the string of the bass bag was still attached to the oar lock but there was no bag at the other end. Lesson learned and those two will never do that again! Now you have got all the kit ready but are you ready? Do you know where to go? That’s a lot of water out there! 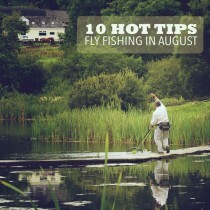 Well check out this article on how to approach the larger lakes with expert advice from Hywel. Tip 9, Don’t wear chest waders in any boat, not needed, unless you want to drown. Tip 10, Don’t stand up in a boat unless you are getting in or out of it. see above. Tip 11, Don’t skylark about in a boat. Tip 12, Do wear a life jacket when going afloat. Tip 13, Don’t forget your sarnies and plenty to drink. Tip 14, Don’t take any alcohol with you. Tip 16, Don’t take radio`s with you. Tip 18, Do listen to Hywel.